Find crochet crafts, crocheting craft patterns and easy crochet craft projects here. Making crafts with your own hands is a great way to explore your creativity. In addition to testing your imaginative skills, you can make something unique and exceptional to present a gift to your close friends or loved ones. The hand made gifts will be more close to the heart of the receiver than any other gift. While you might have made numerous paper crafts and other kind of crafts, this time try something different - like crochet. A crochet work is very similar to knitting. 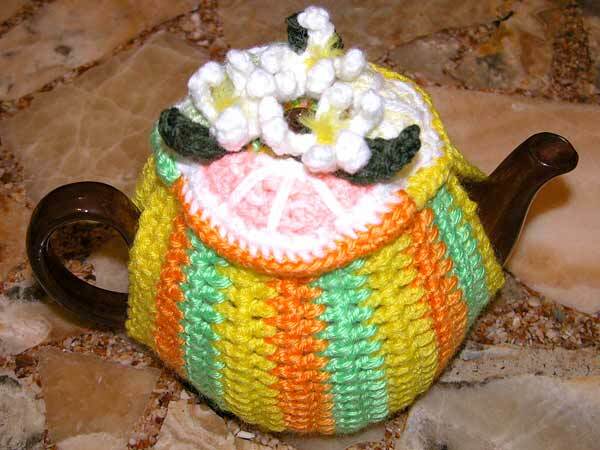 You can make number of items with help of crocheting. Funky crocheted belt can be a beautiful, trendsetter and stylish fashion accessory for teenage girls. Sun catcher doilies can be used as Christmas tree ornaments and make beautiful winter crafts as well. Beginners in crocheting can easily make them and use them to decorate their windows and Christmas trees. Sherlock Holmes hat can be made as a Father's Day gift for your dad or you can use it as part of your costume in a Halloween Party. In our related section, we have provided some fun ideas for crocheting crafts, which you may make for your special friend on his/her birthday or for your mom on Mother's Day. Very much in vogue, belt not only serves as a functional item, but also as a fashion accessory. While a wide variety of belts are available in the market, the homemade ones can add to the personal touch, especially when you are planning to present something unique to your loved one. Making a funky crochet belt would be a nice idea. All you have to do is to learn the basic crocheting skills. If it is Father's Day or your brother's birthday and you want to gift him something different this time, then the idea of making a crochet hat, just like one that Sherlock Holmes used to wear, seems to be quite impressive. Making the hat requires some basic stitches, such as chain stitch, slipstitch, single crochet and double crochet. The gauge of the crochet should be such that 1 inch by 1 inch of crocheted square should have 4 single crochet rows, each row having 4 single crochets. Crochet suncatcher doilies sell like hot cakes at the time of Christmas, because they make delicate, homemade tree decorations. You can use crochet doilies to decorate your Christmas tree. Doilies of all sizes can be hung up on windows, using suction pump, to make an excellent winter sun catchers. Apart for being a beautiful winter and Christmas craft, the suncatcher doilies look festive, beautiful and delicate.